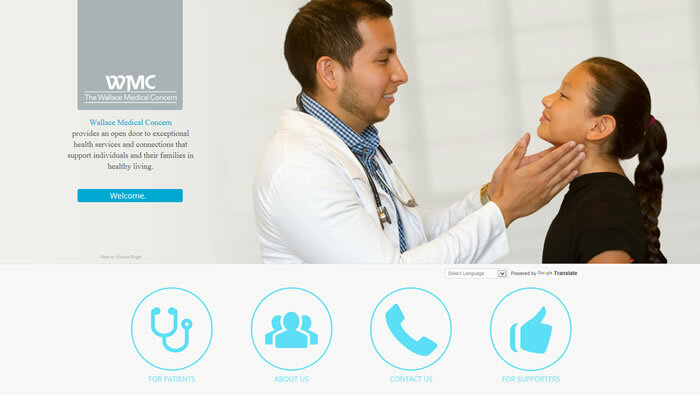 The mission of Wallace Medical Concern is to provide an open door to exceptional health services and connections that support individuals and their families in healthy living. 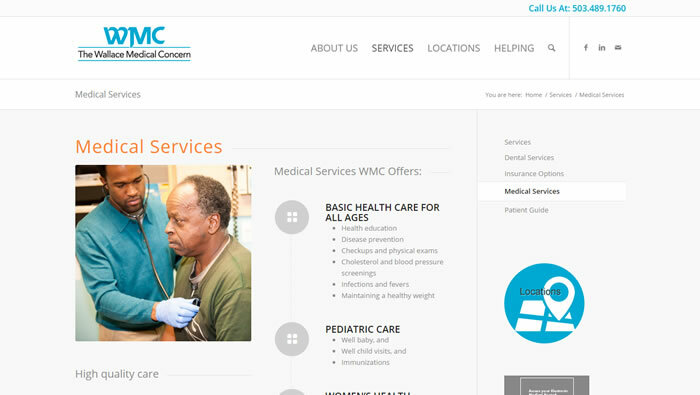 WMC needed a robust website that would not only accurately reflect the breadth and scope of their organization’s services, but to grow as they are doing. 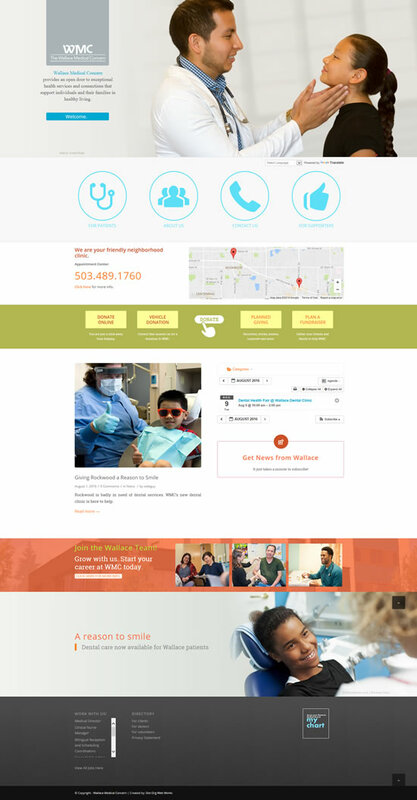 They needed a dynamic new website to showcase their two main medical locations, along with their new dental care center, their employment opportunities, and to serve as a recruitment tool for their volunteer health care provider program. 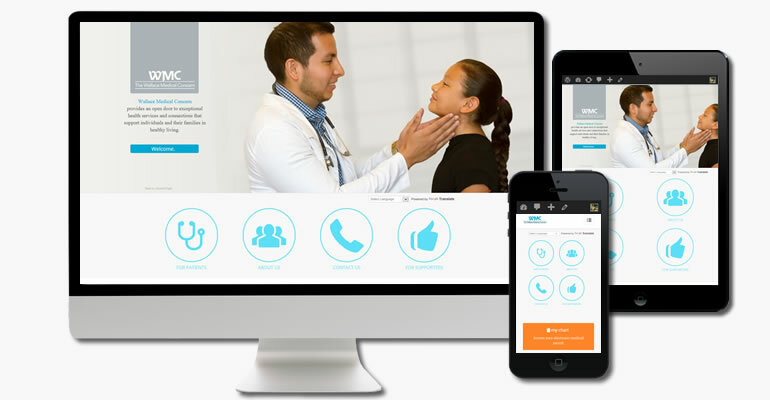 Moreover, they needed to be able to maintain their website easily on their own–and the site needed to be very mobile device-friendly. 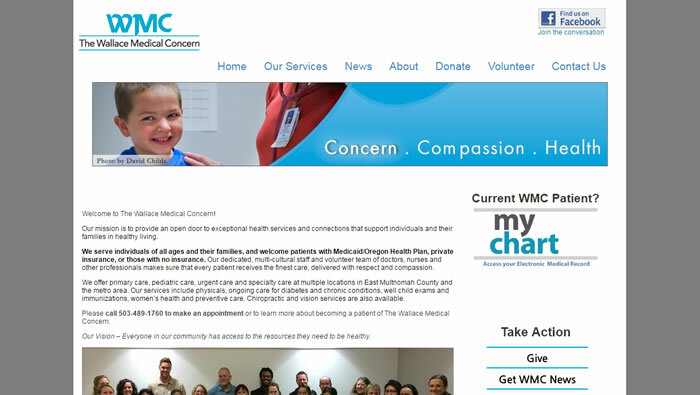 The design of the home page prioritizes four main topic buttons (vital for handheld device viewing), which is set just below a “jumbo” header image–which all views above the scroll. The dynamic Google Map takes visitors easily to the service and location they are seeking, with giving opportunities set below that. The “Join the Wallace Team” recruitment section is just below the dynamic calendar and news blog. This new website is built on the WordPress platform, using a premium theme which provides the client with superior control over design, content manipulation, and user management. Moreover, the website is responsive on various viewing sizes and devices.